Nuproxa Switzerland is a Swiss company founded in 2007, supplying high-quality solutions to the Animal Nutrition and Health Industry. Based on technology made by nature, unquestionably safe. Be the preferred supplier of animal nutrition and health solutions, recognized for our innovative, science driven and sustainable approach for the benefit of animal welfare, our customers and the society. Our mission is to deliver for the animal production industry the most cost-effective natural nutritional and health solutions. Nature is a source of inspiration for the development of great ideas. Engineers find the best aerodynamic shape by watching birds. Architects analyze termite mounds to improve the ventilation technique in our homes. Artists are inspired by the natural colors and forms to give life to their works. The same is true for Nuproxa. We seek in nature efficient, safe and sustainable solutions to meet the needs of the animal nutrition and health industry. We cherish life, ethics and well-being, not only of animals, but of the whole supply chain. Animals and plants have been evolving for millions of years, where nature has been refining and testing its products in an incessant process that no company can match. With this view, at Nuproxa, we believe that natural supplements, which deliver nutrients in complex, naturally stable and protected forms, are better and economically more attractive alternatives to animal nutrition. Their complexity, as well as in nature, provides interactions between substances and the organisms that receive them, including their gene expression. To understand the needs of the industry and offer effective, safe and innovative solutions from a nutritional standpoint, Nuproxa has global and professional partners who sum decades of experience and scientific and market knowledge, investing massively in research. We differentiate ourselves by scientifically substantiating new applications for already known substances from the nature, as well as guaranteeing the quality of our products through the GMP+ certification (ours and our suppliers). The result is the delivery of natural, sustainable and reliable solutions, proven in research facilities and in the field. Today, we fill the gaps of classical nutrition, helping to satisfy society’s demand for safe and effective natural alternatives that offer animal welfare and profitability to producers. This is our legacy: to leave a more sustainable world, where nature provides the best solutions to the challenges of animal nutrition. We don’t just live in nature. We are nature itself. "Long-lasting business is built on friendship." "Success depends on the ability to motivate people to work on something that seems impossible!" Quality and safety for our customers and distributors are among our top priorities. To ensure this level of excellence, Nuproxa only works with suppliers that are committed to quality and feed/food safety, being rigorously selected based on their reputation, track-record, and quality certifications. Nuproxa maintains a supplier verification program based on second-party audits performed by trained personnel and based on GMP+, HACCP and ISO 22000 requirements. 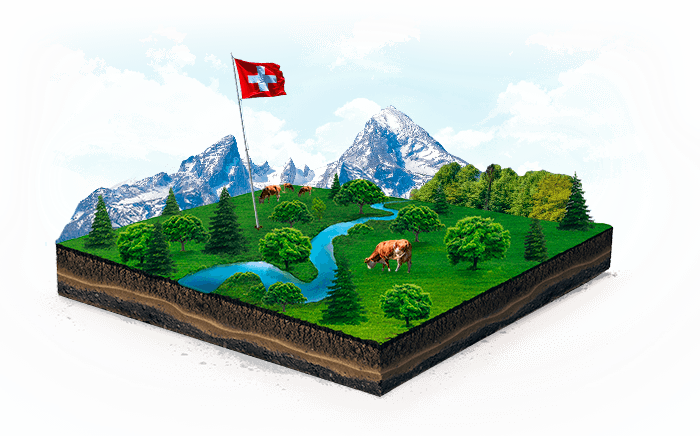 Nuproxa’s Quality Management System (QMS) is established in Switzerland, strategically structured to oversee our global supply chain. Our QMS is audited and verified periodically by an independent Certification Body that attests compliance with the norms and standards of the GMP+ certification scheme, as well as with the laws and regulations of each country of operation.